She has a PhD in Psychology and an Habilitation in Educational Sciences at the University of Porto, where she works as a Professor at the Department of Educational Sciences. She’s been teaching in the fields of educational research, educational and community intervention, citizenship education and political psychology. 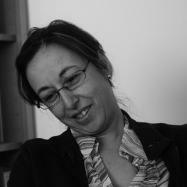 She coordinates research projects on children, youth and adult civic and political participation, with a special focus on the experience of groups at risk of exclusion on the basis of gender, social class, sexual orientation, migrant status, ethnicity, literacy, disability and chronic disease. She’s been involved in several European and international projects related to citizenship education and youth civic and political participation; more recently, her research also deals with doctoral education and an ecological-situated view on university social responsibility.